Hi everyone! 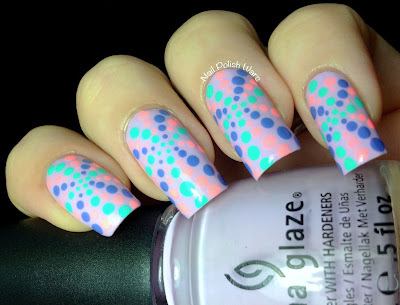 I felt like having a little dotting fun again today!! I started off with two coats of China Glaze Sweet Hook, one of my favorite lilac cremes. 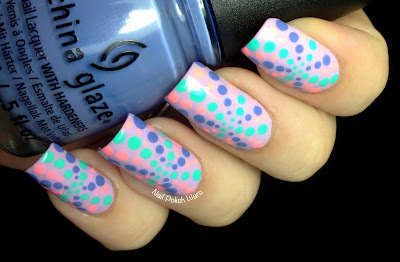 Starting in the middle of my nail, I used my dotting tools with China Glaze Too Yacht To Handle and formed curved dotted lines that expand outwards. 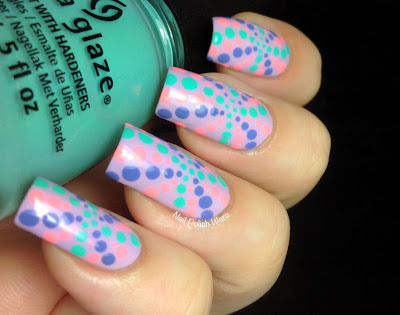 I repeated the process with China Glaze Secret Peri-wink-le and China Glaze Neon & On & On. I finished with one coat of SV. I love the final result! 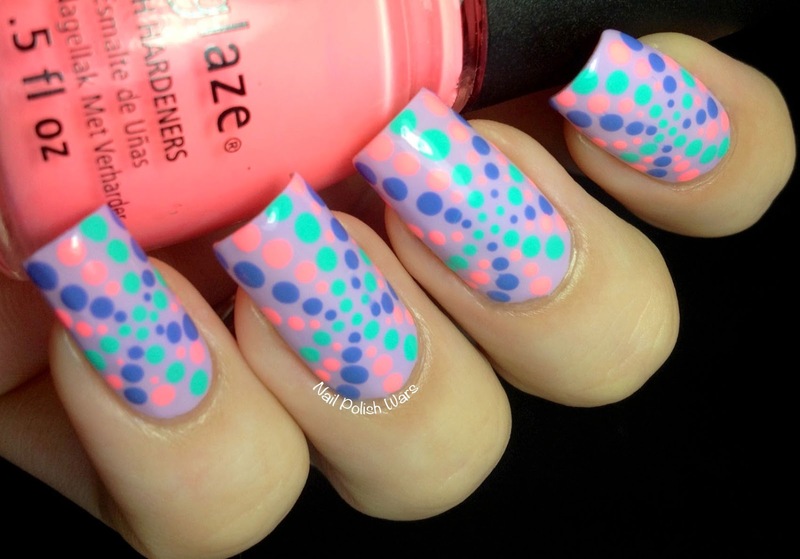 The colors work so well together, but still pop! It's such a fun design to wear!! I hope you enjoyed seeing today's mani!! Happy Painting! Such a stunning dotticure! I love it!